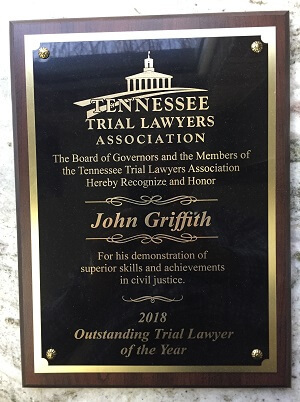 The personal injury attorneys at GriffithLaw take pride in helping clients and their families get the fair compensation they deserve after they’ve been injured due to someone else’s negligence. While prior results do not guarantee similar outcomes for other clients or cases, our law firm’s past verdicts and settlements provide an example of our experience and history handling personal injury cases. Learn more about some of the verdicts and awards we’ve won on behalf of our clients. Defense Lawyer Loses Case & Over a Million of Annual Business Not only did John win this case, he got over 25 times what the insurance lawyer had offered prior to trial.